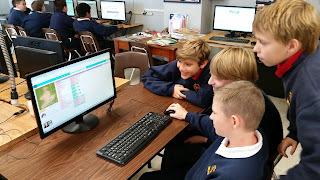 When I attended my first EdTech workshop two years ago, I had little idea what it would set in motion. Ten years earlier, as I sat in one of my first credential classes, my instructor encouraged me to keep in mind the idea of one day working on my Master's degree in education technology. She saw my natural abilities, my interest, and the way it worked for me. She knew also that it would be something I would have to return to in the future rather than pursue then and there. I have kept that in mind these last two years. At that first EdTech workshop, "If you're not on Twitter, you should be" came through loud and clear. For a moment, I froze. The previous school year, I taught only halftime, so I devoted some of my time to my writing. Six months before attending this workshop, I did a branding workshop and launched a full social media blitz as I moved forward with branding my writing-self. Now, my teaching-self was essentially facing the same need and I feared my social media worlds would collide. The funny thing was that I knew this was the right step to take for my teacher-self. By the end of the workshop, I had created a Twitter account and even started following a few folks. And then they grew some more. Initially, my plan was to use Twitter to communicate with students and families, but what I found was that it was far more useful as a means of building my PLN. In fact, it was darn-right amazing. I have learned things. I have read articles, I have sought advice, I have shared ideas, I have built myself into a better teacher because of my interactions on Twitter. I have read books, then discussed them with their authors. I have experienced inspiration and challenges. I have seen a few things that aren't for me and a whole lot that are for me. More importantly, in being "for me" they are FOR my students. My students have absolutely been the benefactors of my Twitter experiences and HOW TWEET IT IS! The people I have met on Twitter and through Twitter, and later even off Twitter have helped shape some incredible things for me and for my students. I can only hope to one day do the same for others. Twitter is less social media and more networking. There are some in the world hesitant to the idea of using "social media" to extend themselves and grow their PLNs. I will do my part to help spread the Twitter awesome-sauce and I hope you will too. In the meantime, I originally maintained my blog as my primary means of communicating with students and their families. Then, last spring, my (then) seventh grade students helped me branch into Instagram. They invested themselves into it and helped hook me. It was a wonderful means of mini-lessons when we first started, but continued through the summer and now into the current school year. My #wheresmsrnow summer post-series was a fun learning adventure for all who followed along. I hope to keep such things going. It may be hard for some to see, but it is educational Tweetness that rocks my world! And I am thankful for those who do see it. Here are a couple of things I remember. I remember becoming acquainted with computers at a very early age. I remember being awe-struck once visiting my dad at his school district office as we saw the enormous computer and how the different terminals could communicate with each other. A person could sit at one, type a message, and another person would receive it at their terminal. I remember having green-screen Apple computers at the elementary school I attended for second through sixth grades. I don't really remember what we learned during computers. I graduated from high school 20 years ago. I had started testing out of computer classes in eighth grade. I remember fondly spending some time in middle school playing with Oregon Trail. At home, we had educational games such as Where in the World is Carmen San Diego. My dad had written a math game and my mom had done the music for it. I had been exposed to computers a great deal. When I went away for my freshman year of college, my uncle drove down to give a computer to me. It was a hand-me-down that I appreciated greatly.It was in college that I got my first email address. The university issued email addresses and we were able to connect with our professors by email. It was exciting. The following year, I returned home and attended school close to home. This time we had something super amazing: Infonet. It was a chat feature that allowed us to connect with fellow students. In fact, a few of us became friends through Infonet and eventually had a group that gathered on weekends for different activities, coffee or pool usually. I completed my BA in 2002 and still used technology minimally. I remember being very excited about the way we could connect with a classroom at another campus, but beyond that I don't think there was much tech use. Yet, as I continued my education, I saw technology grow and grow. It's amazing how far we have come in 20 years. I do more in my classes now than my elementary teachers probably could have ever imagined. It just feels right to be caught up, using, and coaching with the current technologies. I'm getting closer and closer to being cutting edge. I am helping start new trends at my school and working with other educators on implementing new ideas. This is a fantastic time to be in education! The high school we primarily feed into is going 1:1 iPads for next year and phasing out textbooks. We are implementing the use of and exposure to Chromebooks. My goal at the Technology Instructor then is to bridge it all together and introduce the students to different technologies and enable them to learn more as they move forward through their educational careers. Here's the thing. Are colleges keeping up? More importantly, are college students using what they have learned as they continue on in their education? As we all know, there is still quite a divide among elementary, middle, and high school even still. So, imagine what happens when these students descend on the colleges of their choice. These are students well-versed in social media and surely most (probably still not quite all) have some form of technology in hand on a regular basis. At the very least, I am sure most of them have some form of Smart phone. Still, what happens when they walk into their college classroom? This seems to vary greatly. A friend of mine teaches classes at a university in California. She incorporates the use of social media. She has also launched podcasts and has a YouTube channel. Her class is a blended format so they only meet face-to-face a portion of the time in the semester. My aunt teaches at the graduate level. She does blended formats, online courses, as well as face-to-face classes. As she visited recently, we had a very interesting dinner conversation. Now, interesting dinner conversations are pretty much the norm. My family always ate dinner together, and we still do. As a kid, I sat with a school administrator at one end of the table and public school teacher (and union member) at the other. We talk about all of the interesting topics that often you're not "supposed" to talk about with people. But, we're family. Education issues, technology, and the like are fairly regular topics for us now especially. So, my aunt was visiting and I talked some about some of the different things that I do in my classroom. I love what we are now capable of doing in the way of instruction. I love that we can go beyond expectations. We can raise the bar in our classrooms. A couple of days after this dinner conversation, I saw that someone I once attended a session with was having the opportunity to visit college-level. Then I saw something more about college-level. And then something more. As I sat down to write this, I saw one more thing. What happens to our students once they start college? Is there something that changes between undergrad and graduate level work? Do they really like it or is it what they know? As in, it's comfortable to them. We all know magic happens just outside of the comfort zone, so do we need to push the college students farther out of their comfort zone? A few weeks ago, I was browsing a social media network when I stumbled across something a friend had shared. It was an article about Project Semicolon. I read it and immediately shared it. A few days later, I saw another article. Then another. In the meantime, I had already scheduled my appointment. In the days following, Project Semicolon gained even more momentum on social media. It spread like wildfire. People started sharing their own stories. Then, it came up in education circles on Twitter. I was pleasantly surprised. I have always been excited to work in education. I have done many different things in my career as an educator, only getting my multi-subject teaching credential about three years ago. I have been proud to come from a family of educators. I have been proud of my students. I have been excited to learn from and share experiences with other educators and the best thing I have done is started using Twitter to connect with other educators. Today, though, I am proud to be a part of a group of educators that are helping to bring more awareness to mental health issues. I am honored to count them among my peers. #semicolonEDU is going strong right now. Today. At this very moment. Seriously, read the stream associated with the hashtag. It's amazing. Some are sharing tattoos. Some are drawing Sharpie semicolons on themselves. Whatever and however they do it, they are coming together in the education circle for something that needs our attention. As educators, we will work with peers struggling with various forms of mental health issues, some of whom battle behind closed doors, others who will at least try to share bits of their stories, and still others who are choosing to share their stories completely and openly and honestly. We will work with students who suffer with various forms of mental health issues. Some as "simple" as anxiety. Some far more severe. We will have conferences with parents who have their struggles. We engage the world on a daily basis and there has often been a stigma attached to mental health issues no matter how big or small. The current statistic is that about 22 veterans commit suicide every day. Every day. These could be former students, parents or grandparents of current students. They could be our friends or family. And that statistic is just for veterans. Suicide has been reported to be the third leading cause of death for young people between the ages of 15 and 24 in the United States. These two statistics alone should lead to a very open discussion. Suicide doesn't take away the pain, but it gives it to someone else. In fact, in some ways it increases the pain because it passes it on to so many. For ten years, not a day goes by that I don't think about my cousin and the decision he made. He chose to end his story. Later a person very close to me threatened suicide on more than one occasion. I am thankful that his story continues, but it definitely had to go in the direction of a new chapter. A child struggles with anxiety. I experience anxiety, in part related to Fibromyalgia. A little over three years ago, a local high student ended her story. An active, involved, high-achieving student. But, as has become painfully obvious since Robin Williams' suicide, all the successes in the world don't necessarily bring health and happiness. So, let's use our semicolons to keep the story going. There is so much more to write, so much more to share, so much more to do. We can make a huge difference. We can also stop and listen. Last fall, my son and I participated in a local Out of the Darkness walk. 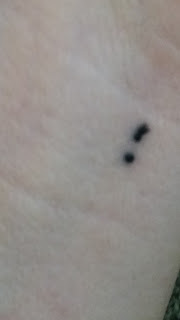 So, this semicolon trend is good and I hope will keep going, but we can show our support in other ways, too. Check here to see if there is a walk near you. I have a life preserver magnet that I keep in my classroom. It is associated with the American Foundation for Suicide Prevention. You can learn more about them here. I am incredibly thankful that @thenerdyteacher helped get the dialog more open and the momentum for Project Semicolon going even stronger. I am proud to stand with you and others. I love seeing educators joining together and discussing real issues such as this. Let's keep this going. After a wonderful, albeit short, trip to Lassen Volcanic National Park, I returned home to begin the next transition. Of course, we leave next for Pinnacles National Park and have to prepare for that Edventure, but there is something more I have started working on this week. I am in a transitional stage at my school. After two years as the middle school science teacher, I am moving into the technology lab where I will instruct all K-8 students and offer EdTech support to my colleagues. This comes as our school transitions to becoming a GAFE school. Big changes and lots to look forward to in the year ahead. But first, I had to completely close out myself as the science teacher. I thought I had done that. I spent extra time following the end of the school year packing up my things and making the move from the science classroom to the technology lab. Some things I packed up and brought home. And, there they sat. And sat. And sat some more. Until this morning. I realized it was time to move forward. So, I sat down, went through the things and sorted what I need at home (I'm a mom, too, so of course I'm a 24/7 educator), what I can pack away, and what needs to just go for good. I sat down with my three bags and a single, small box. I know there will be a time when I will need these things again. So, packed into this box are some of my favorite science items including tweezers that I purchased recently, three different types of Slinky, and two rubber ducks. How cool is that? I have fun stuff in my science collection and they all had great lessons to go along with them. I bought my first full-sized Slinky in YEARS to incorporate into our P-waves/S-waves lessons. The kids had fun and learned great science at the same time. I pack away a few items, but what I can never and will never pack away is my desire to do right by the students and teach them well. By a few weeks into the school year last year, my seventh graders were never quite sure who would be teaching them that day. I had started doing different things to grab their attention and really hook them. One of those things was trying different accents. It worked so well for that group of students and I got more out of them because of it. Here's the best part...I got more out of them because they were getting more out of the class. They were engaged and learning and exploring. This class was so excited about what we would do each day and it helped me find even more motivation to do more of what I was doing. Back to the reading list. I started Teach Like a Pirate last week and I am taking my time with it. I am using a pencil as a bookmark, in fact. I am making notes and stars and underlining. As I am reading I am finding that I am on the right track and I can keep doing what I am doing. I struggled with this position change for next year, but the more I look at it and the more I explore new ideas, the more excited I get about it. I will miss my science classes terribly, but now I can do different things that will continue to support their learning. And, I may just show up in costume one day. Definitely I will keep some of my accents up to date. As I read through the Rapport section yesterday, I got a huge idea and started working on it. In case a student is reading, I won't share it just yet. Though I will say, the door to the technology lab will be a portal to another world where amazing learning takes place. Early this morning I read what Dave Burgess wrote at just the right time. It was exactly what I needed. "It's not supposed to be easy -- it's supposed to be worth it." Regardless of your personal beliefs, there is something in there for everyone. We can take times of transition and transform ourselves, our teaching, our students and beautiful things can and will happen. I attended an art high school where I spent two years studying theater. I often put on plays, skits, puppet shows, whatever I could to perform for my family throughout my youth and, still as I read my book this morning, I nodded in agreement. I am a creative person, but that does not mean it all comes easy to me. It takes lots of hard work. It takes networking. It takes asking for help when I need it. It takes sharing ideas. It takes successes and failures and trial and error. But, by golly, I am going to rock my new world in the technology lab next year. What are you going to do? Side note, as I sat down to write this, I saw something on Twitter that fit perfectly on the #SlowchatED and was impressed out how everything came together today. This was the post I was supposed to write today. You'll get more about the outdoors EDventures soon. Oh....and a video idea is brewing. Good times! Last summer, I traveled up the center of the state (California) to Lassen Volcanic National Park. I took along two video cameras and captured some fantastic video while exploring the park, particularly the Bumpass Hell Trail. This summer, I will return to Lassen with an additional video camera (the GoPro I added to my collection this spring) and try out a different trail or two. Step one: Check all equipment. All cameras will be charged ahead of time. Last year, I had one major glitch. I had charged one of the cameras the night before only to have it turn itself on in my backpack on the drive. I managed to capture hours of the car ride and very little Lassen. Everything will be charged tonight and checked upon arriving at our destination tomorrow (a lodge with electricity). Additionally, one of my camera requires batteries, so I will put in new batteries and pack backups. Step 2: Send out reminders. I use social media to reach out to students when we're off from school (as well as communicating with them during school). 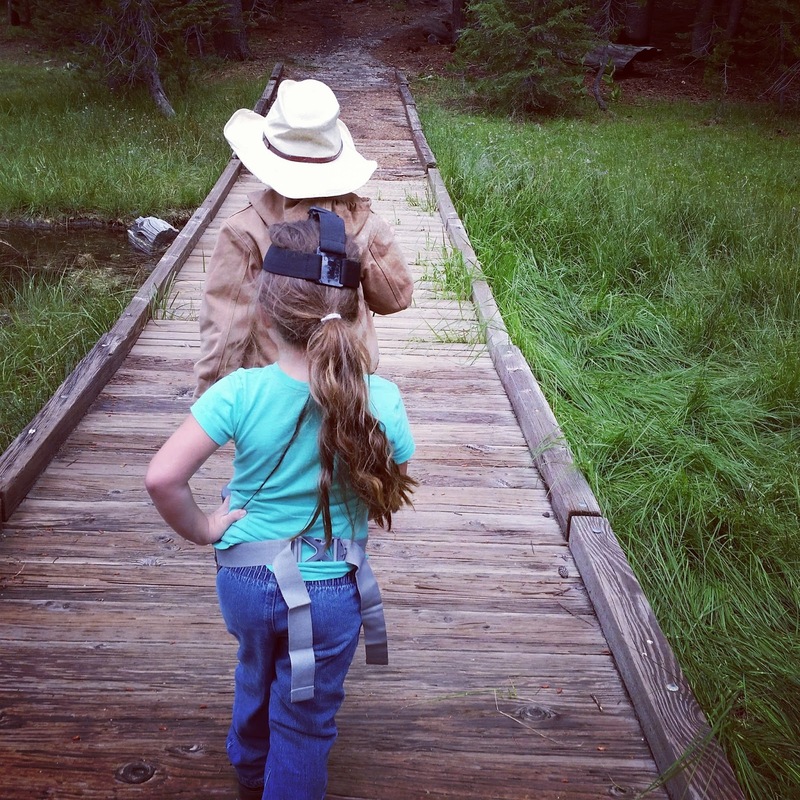 Students have been invited to participate in the Lassen hike. I will do one last social media blitz tonight. Once I arrive at the lodge, I will be slightly off the grid. No WiFi, minimal cell service. 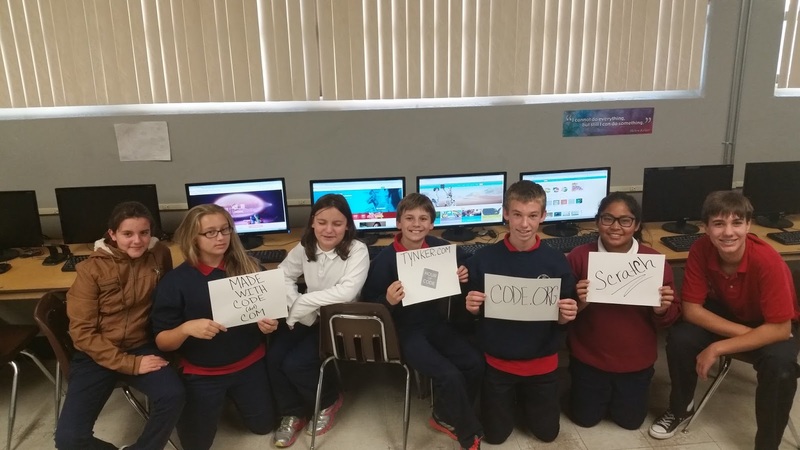 Although for this particular Edventure, I suspect little to no involvement from the students, the use of social media helps them feel connected to it. When we return in the fall and they see the video footage, they will have more of a connection to it than they would otherwise. Voila! The world is their classroom! Step 3: Go. See. Capture. Finally, I have elected to do something a little different this year. Since I am shifting into a technology instruction role, I will bring more of the raw footage into the classroom and I will have students work with some of its editing. If you want to see some of last year's Lassen footage, take a look at my previous post Taking it to the Next Level. As an aside, I always check the weather ahead of any trip. Last year, it was in the 80s and sunny. It looks as if it will be a completely different experience this year. Turns out, thunderstorms are in the forecast. I will pack accordingly and thankfully, the GoPro has its protective waterproof case and my smaller video camera is waterproof as well, just in case it rains. In the middle of the month, I will pack up and do a similar trip to Pinnacles National Park. This will be a different sort of experience though. This one will be even more off the grid and I've elected for camping instead of staying in a lodge/cabin. Stay tuned. Over the course of the last 18 months, I have expanded the tools I use in the classroom greatly. I have met with other educators and tried new things. It has all been to the benefit of my students. I recently shared my Virtual Hike/Bone Identification lesson and lab on Twitter. Here, I build on the 142 character limit to give you some additional highlights on how video has enhanced my science lessons. In April 2014, I returned from a spring trip with two bones I collected on a family property. I took the bones into my seventh grade science class. The goal was simple: have them identify the bones. We worked through the identification as a class. I led Internet research and students came up with their conclusions. Little did I know at the time that it was just the beginning of what would become one of my favorite science lessons. In December 2014, I returned to the same family property on another trip. Out for a hike, we came across a mostly intact animal rib cage. I returned to the location with a large bag and collected the bones. With the help from my two trusty sidekicks (ages seven and four), I took video of the hike up the hill. Later in the trip, we took another hike and this time collected an animal skull. We also took some photographs along the hike. The video and photographs from the trip would provide exactly what I would need to guide my students through this bone identification. First, I posted on Twitter images and a preview of what would come upon our return from the Christmas vacation. Second, I got to work on the video. I created a virtual hike with the video I took and added in some of the still images as well. Third, I rebuilt the bone identification lab around the virtual hike. I walked the students through the hike. (Pun fully intended here.) They were to take notes on their observations. Once they completed the virtual hike, the students were then broken into groups and rotated through different stations. Each station had a different bone (or group of bones) to identify. I provided them with a worksheet to fill in notes as they visited the different bone identification stations. They had a chance to revisit the virtual hike and collect more information from the bones on a second day. Students also used personal electronic devices and the two classroom tablets to research. They then took the information they had collected and did a lab write-up. This enhanced lesson allows the students to explore and inquire. I was so impressed with everything they did with this lesson and the outcome was fantastic! So, what's next? How else can this lesson be enhanced? The next step would be to take the worksheet and make it into a Google Form. Groups can then fill in the Google Form and ultimately submit the lab write up through Google Drive. Video is the "thing" I have decided to continue pursuing in new ways. Sixth grade lesson: I used it to enhance a series of lessons on earthquakes. I showed news footage from different earthquakes, including the 1989 Loma Prieta and the 1987 Whittier-Narrows earthquakes. Then, I took my own video showing the how Whittier looks now. This included a class discussion as we viewed videos. We also examined National Geographic videos. Also, I used a summer adventure to enhance lessons with all three levels of science (sixth, seventh, and eighth). I took video at Lassen Volcanic National Park. I brought back resources from the visitor's center there. I put different pieces of the Lassen experience into difference lessons as they fit with the science. 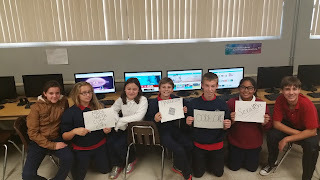 This video was shown to the sixth grade class. Among the tools I have built into my teaching toolbox, or my Swiss Army Knife of Education, if you will, I have found that video can be used in a multitude of ways and is especially helpful in bringing the outside into the inside of the classroom. It enhances the learning experience for my students. It helps to build in differentiated instruction that has done well by my students who may need a little something more. I have a ways to go as I continue to work with video and I look forward to actually doing it better and better. The best part is this...it's worth trying. The only failure comes in not trying, as "they" say. So, if you haven't already done so, give it a try. Bring the classroom to life by enhancing a lesson with video. Next school year, as I take on a new role where I will actually be teaching some of the technology I use, I will have the students do different things with video themselves. One significant step will be creating a video yearbook.